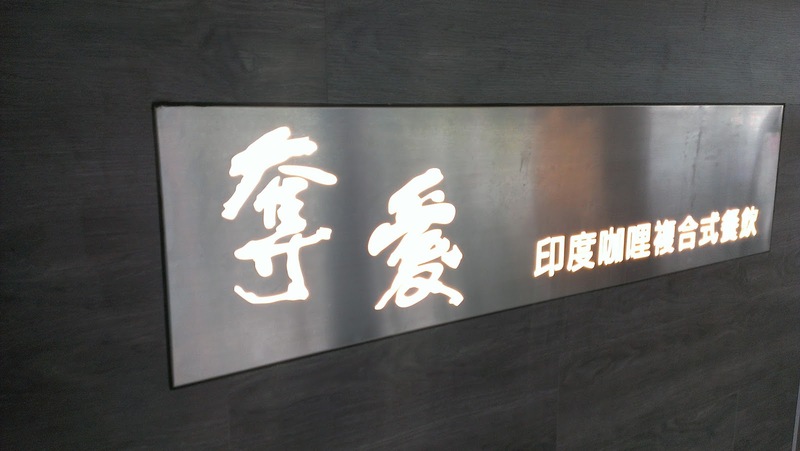 From the outside, the restaurant seems a bit confusing: the sign in the bottom picture looks new and quite nice. However, the shop front looks a bit worn and the colour looks washed out. Fortunately, the inside more accurately aligns with the bottom picture, not the top one. So we are in luck! The restaurant recently (in the last year) had a complete refit. It looks very clean and well kept, with no marks on anything. Really, it looks like it was done yesterday. Chicken Tikka Masala is a very popular dish all around the world and has become synonymous with what we feel to be Indian cuisine. The weird part: It is thought (and strongly believed, but remember to not shoot the messenger) to have originated in Glasgow, Scotland – over 7,000 miles away from India itself. 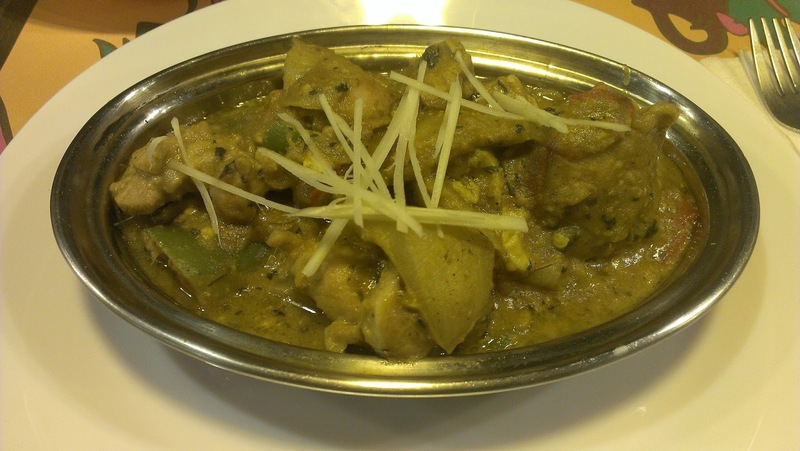 The main characteristics of the dish are a yogurt and tomato base, tandoor roasted chicken and plenty of onions. It is not, typically, very spicy. However, asking for more heat is always allowed, naturally. This chicken tikka masala was good, albeit without spice. One thing I really like about chicken done in a tikka style, is that it is first cooked on skewers which are dropped into a tandoor (stiflingly hot traditional Indian clay oven), this means that the edges are slightly crispy/burnt but in some miraculous way the meat remains succulent and juicy. This is exactly the process here, too. Cooked up with thick slices of onion and then lavishly coated with a rich tomato and yogurt sauce, the dish is well done: it has balance, it is rich, it is tasty and, most importantly, it has the tang of lemon. 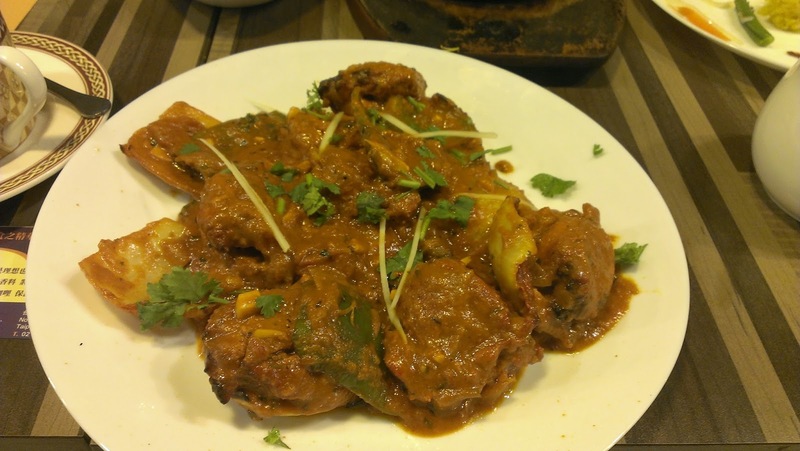 Handi chicken is called ‘Handi’ simply because of the method in which it is cooked: the curry and meat is cooked in a large mouthed, deep cooking pot (with the original pots, and the most traditional pots, being made of clay). This Handi chicken was ok, but it didn’t blow me away with either flavour, or spice. The sauce was nicely sour and flavorsome, but it didn’t leave a memorable taste in my mouth. This wasn’t what I was expecting from a chicken patiala. The patiala is a Punjab dish from Northern India. Dried spices, garlic, chili and ginger are all used in the base of the dish to marinate the meat. When the meat has been marinated, it is then wrapped in a tortilla-style wrap (not particularly traditional of this dish) and arranged on the plate, then lathered with wonderful cooking juices. I was excited to see this because they have taken a classic in the patiala and then added their own spin on it. The dish was good, and I would recommend it as a solid sharing dish. It is quite filling and I certainly couldn’t finish the plate by myself, even without rice or nan. The flavour of the curry was nice and rich with a mild spice. Whereas it looks greasy, it really didn’t have a greasy taste at all. 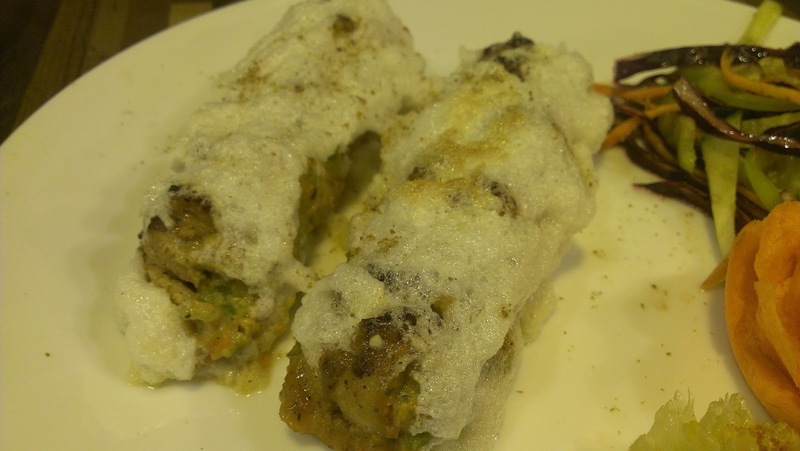 The reshmi kabab has it’s origins in Pakistan. When I have ordered it before, we have done it as like a sharing starter with a yogurt mint dip and some salad. The meat inside is chicken and it is cooked wonderfully. The chicken meat is marinated in an array of spices, then slid onto a skewer and dropped into the tandoor (as previously mentioned for the cooking process of the tikka). I really enjoyed the flavours of the dish: sourness, saltiness and a very mild light spice imparting flavours all the way through the chicken meat. The kaba was cooked beautifully remaining tender inside and the meat had that charred crispiness that you should be looking for in tandoor cooked plates. As for the foam on top, I really am unsure what it is. However, I can tell you this much: it doesn’t add or take anything from the taste of the dish as it is fairly tasteless. It just adds to the dish looking a bit weird, really. More like a chicken tikka kabab cooked in the same way as the reshmi kabab (tandoor). The meat has clearly been marinated for a long time as it oozes with flavour and juices. The peppers and onions seperating the lightly spiced meat give bursts of sweetness and crunch and, finally, the charred mixed vegetables (charred due to being served on this kind of platter) give smokiness and additional textures to the dish. I really enjoyed this and I wouldn’t think twice about ordering it again. This is something that I have found near impossible to get hold of in Taipei. And, if you do, they are not good quality. For instance, I tried the ones in DingXi nightmarket and they were greasy, had little flavour and even less filling inside. However, these ones were pretty good and certainly satiated me, at least for a couple of weeks! Here is the chicken samosa. Generous chunks of marinated chicken are put inside with onion and more spices. 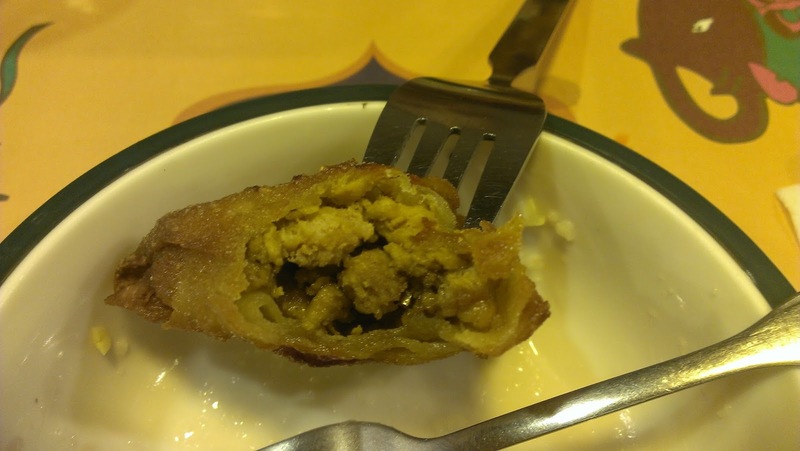 The samosa itself is really well cooked and very crunchy. 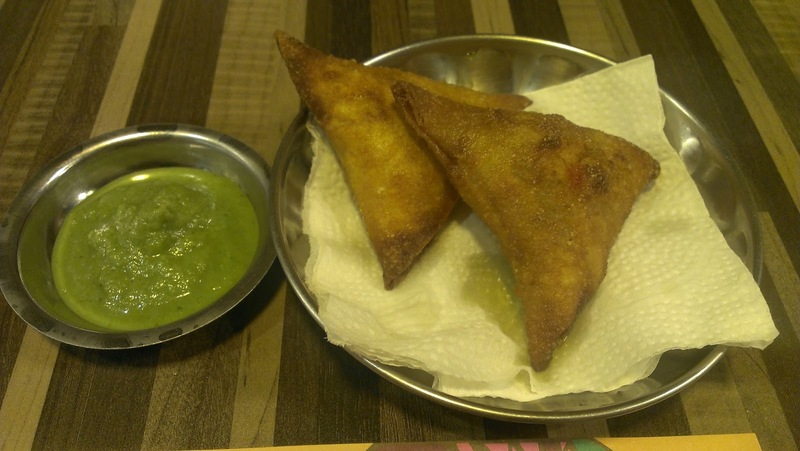 I am not used to eating samosa so crunchy, but this was actually quite nice. This is the better of the two, in my opinion. 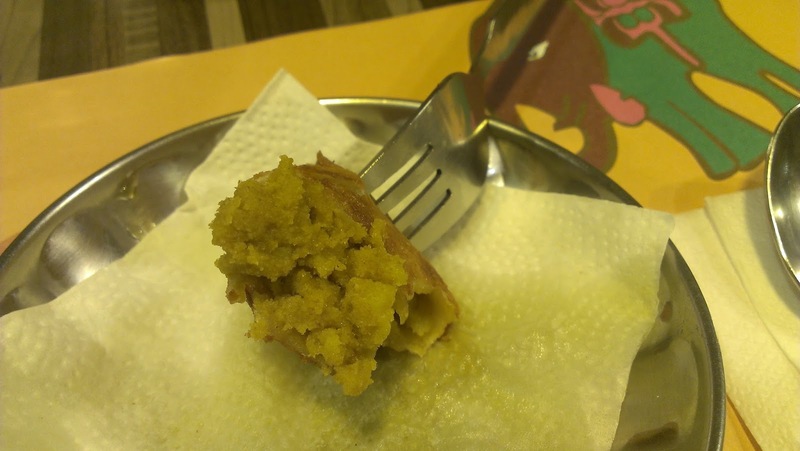 This is the vegetarian samosa with potato inside. 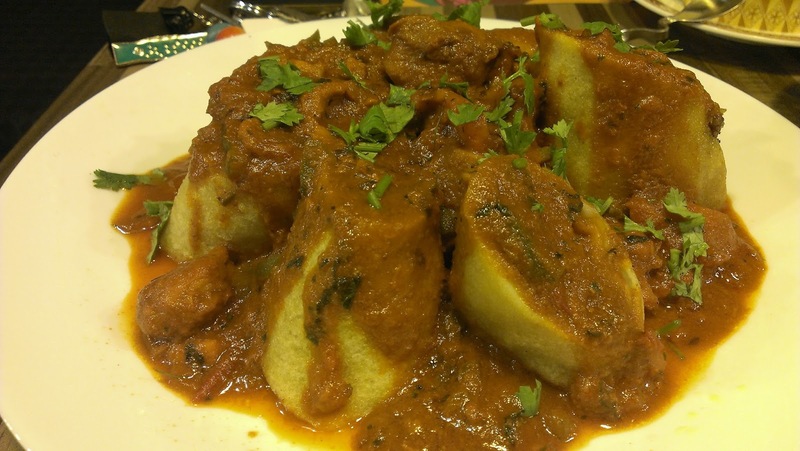 The potato is light and fluffy and contrasts with the light greasiness of the exterior samosa. It mops up all the flavour and delivers it in several little mouthfuls (or big, depending on what you’re going for). It says coconut rice, but I have eaten this rice many times under the name of Pilau rice. The unique color comes from a mix of spices, but predominantly, turmeric. Whilst turmeric is classed as a spice, it doesn’t offer a lot in the spice department, yet offers more to liven the dish with color. 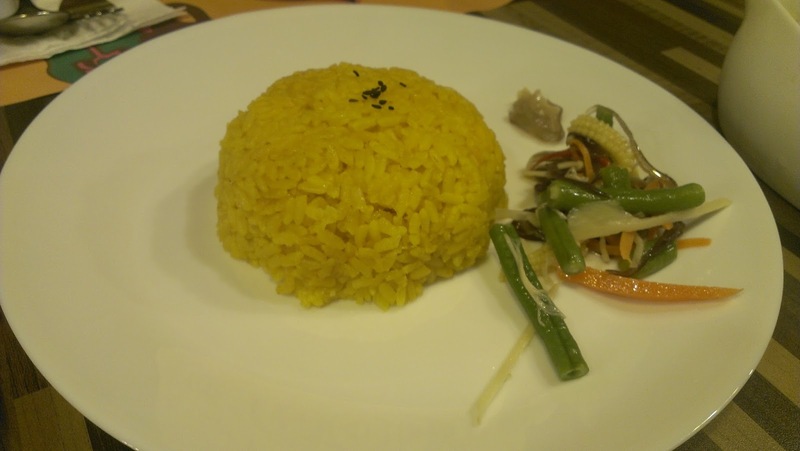 The rice is well cooked and the portion size is ample for one person. However, personally, I prefer to have a nan bread with my curry and usually choose to omit the rice. 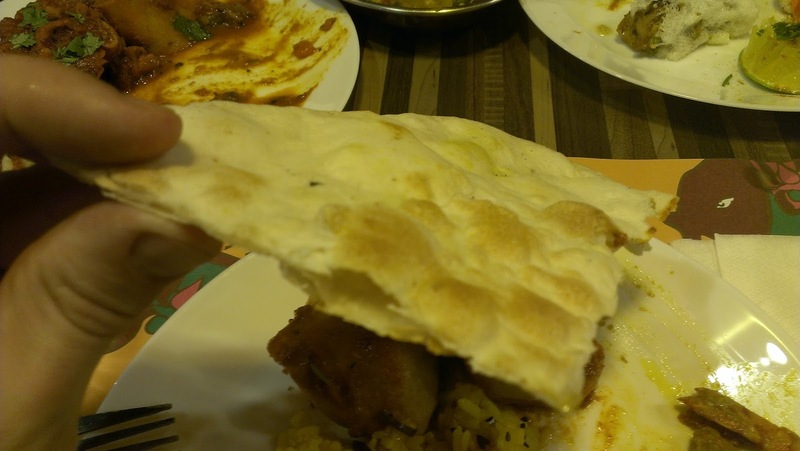 If you have eaten Indian food before, most likely you have also eaten Nan bread. Nan bread is a flat bread that is stuck to the inside of the tandoor oven to bake quickly. The bread doesn’t rise and the texture can range from being quite stodgy to quite crispy. This slots into the latter of those options – crispy. The Nan bread is thin in some places but thicker in others; meaning that sometimes you get a crunch and sometimes you get some bread. On a personal level, I prefer my Nan to be slightly thicker as I enjoy mopping up the curry and the meat with the bread (I will often use my hands to eat curry). This was made a little more difficult with this Nan bread having sporadic crunchy bits, but it was still quite good. The flavour was good and because it was thin in places it did remain light and not heavy in any way. Poori/Puri is something I have’t tried before. Poori is made using wheat flour, salt and water and is deep fried. The bread puffs up to create a crispy outside and a hollow inside. 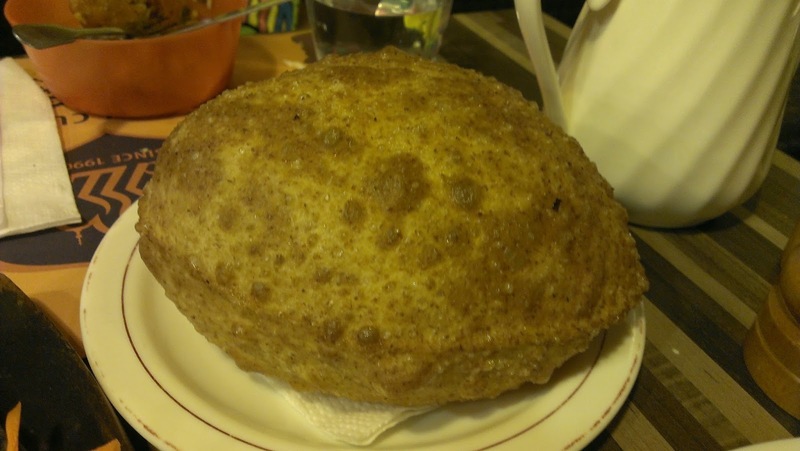 The size of this poori was around the same size as an American football, which is pretty interesting! The bread itself didn’t taste greasy and it was remarkably filling (due to the use of wheat flour over white flour). The wheat flour adds a slightly healthier and denser flavour to the bread and is perfect to scoop up any of those leftover curry sauces you have left behind! Overall, I was impressed with this place! 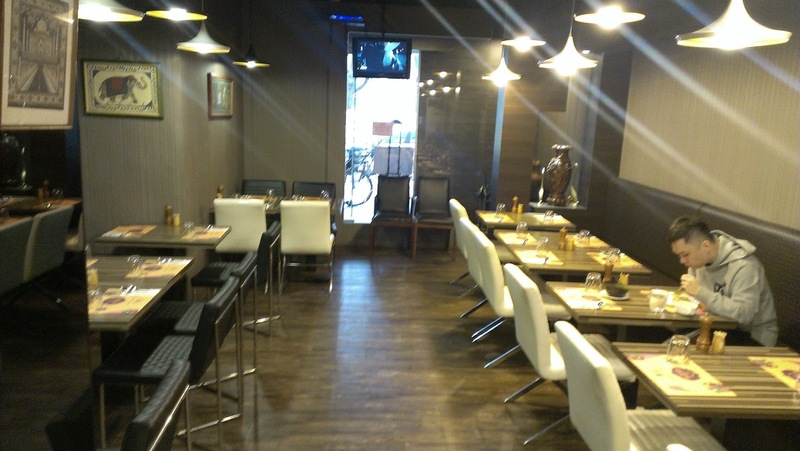 The inside is very clean and well kept, and the food is quite similar to the Indian cuisine that we get in the UK. 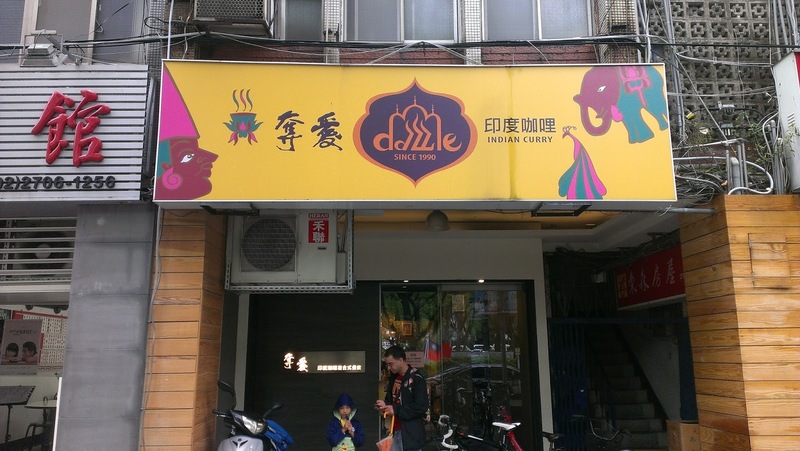 I have previously eaten at another Indian restaurant in Taipei and I was so disappointed that for the last few years I have avoided eating it again. However, now I don’t need to do that. When I have my craving for Indian food I will definitely be coming by here for the Reshmi Kabab and Chicken Tikka Masala. Best dish: 5. Chicken tikka starter and 4. 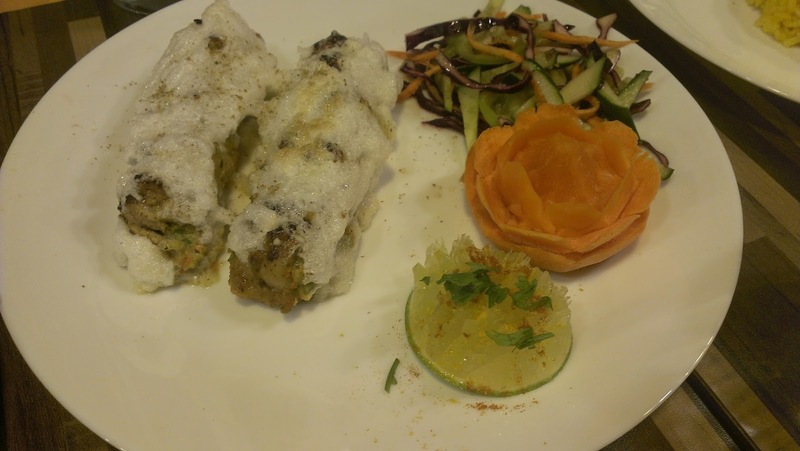 Reshmi Kabab – They were both really great, definitely on my order list for next time. Dish I wouldn’t order again: 8. Nan bread – Nothing to do with the taste, more about personal preference: I prefer thick and doughy Nan bread. 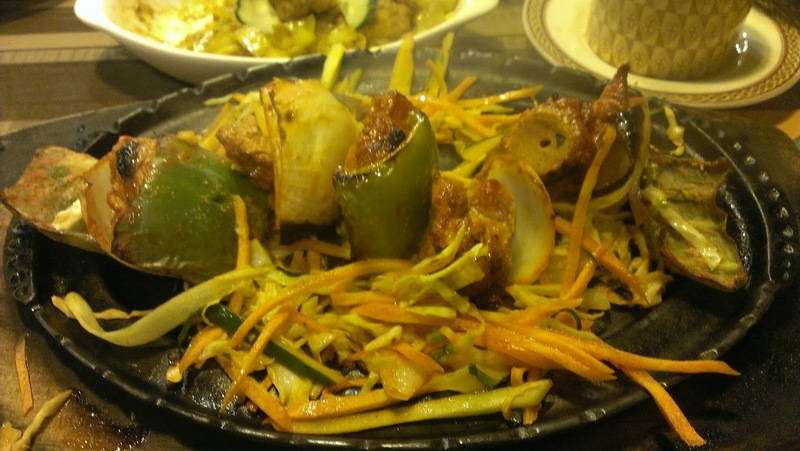 If you are fan of an Indian food, try Indian Restaurant Seoul. My group of friends introduced this place and since last 3 years, this hit the top and best indian food for our group. Thanks for the recommendation, Dravin. If I am in Korea and fancy some Indian food, I'll be sure to hit it up.